Brick is made from molded clay that is then given strength through firing at high temperatures in a specialized brick kilns. 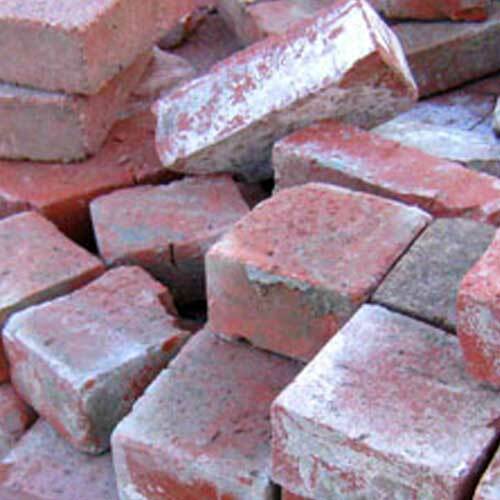 Available in a variety of different sizes, shapes: Standard Brick, Split Brick, Thin Brick, Fire Brick, Bullnose Brick, and even Authentic Used Brick. 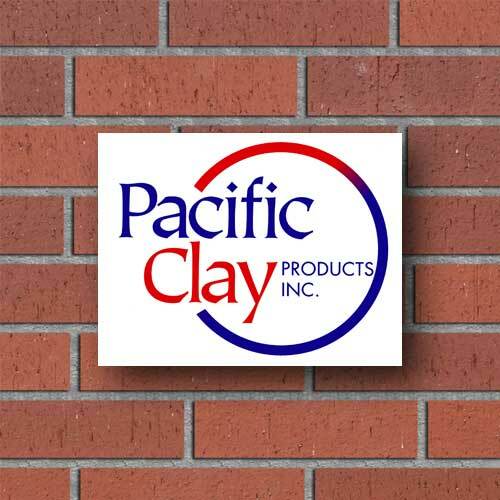 RCP Block & Brick is proud to carry in-stock selections of many popular styles and colors; and can provide any product from the listed brick manufacturers through special order. 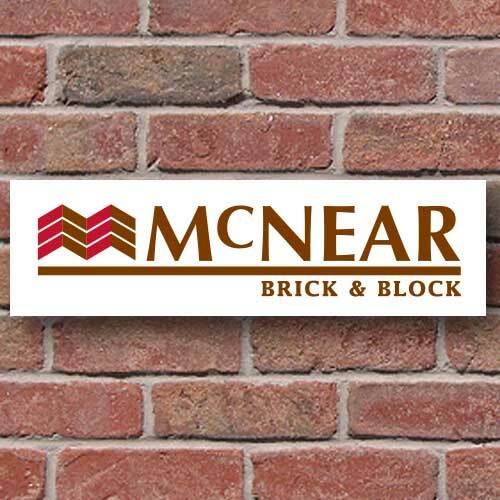 Please view the following brick manufacturer's websites to view complete selection of available brick styles and colors. RCP carries an in-stock selection of many popular brick. Special order available for all other listed products. 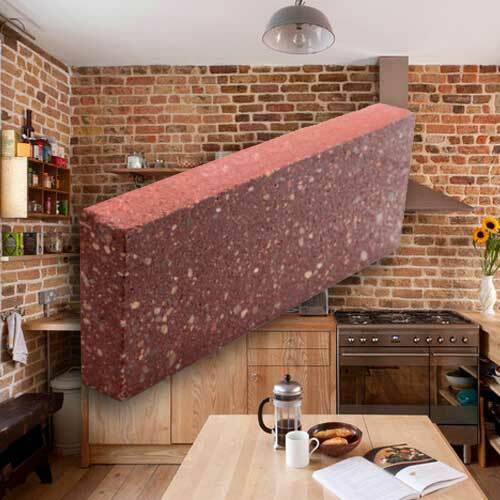 Standard Brick, also referred to as "full brick", are the standard size clay brick used in residential and commercial masonry building applications. Brick are stacked and mortared to create walls, columns, steps, and a variety of other structural elements. Split Brick units are a thinner version of the standard size units. 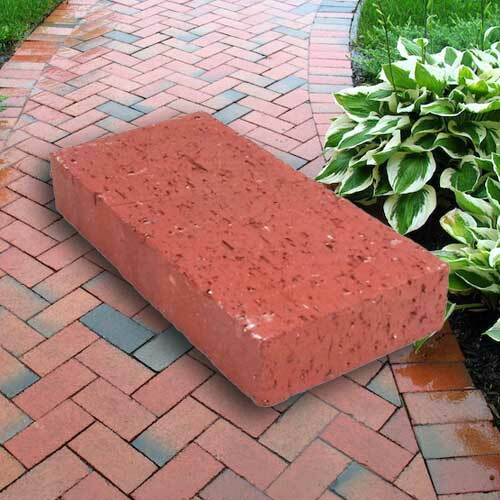 These clay brick units are designed for use in brick paving applications for your patio or walkway. 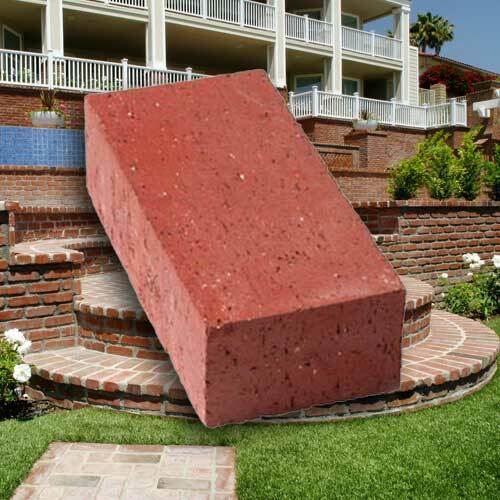 High strength split brick are available for paving applications that may see high vehicular load such as driveways or parking areas. Thin Brick units, also referred to as "Veneer Brick", are an even thinner than than the split brick units. Thin Brick is specifically designed for interior and exterior veneer applications. Use of thin brick is an excellent way to add the look of brick masonry to an existing wall, fireplace, or column without the cost of building the structure out of standard sized brick masonry. Fire Brick units are designed for use in areas where high heat is present. 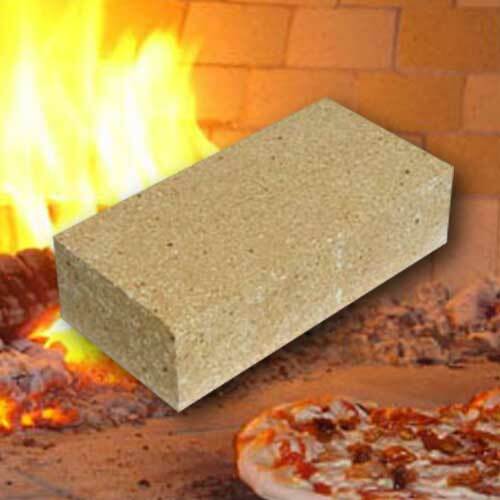 Perfect for such applications as lining the firebox within a fireplace, the interior walls of a pizza oven, when creating fire pits, slow roasting in-ground "pig pits", or any other application where high heat is present. 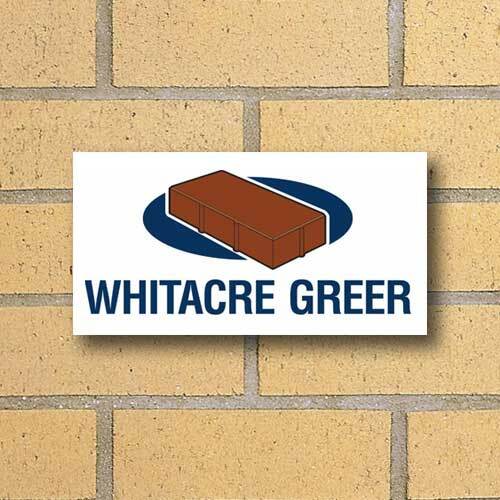 Fire brick is available from Pacific Clay Brick and Witacre Greer in both standard size brick and split brick units, and in a limited color selection. Bullnose Brick units have an elegant, rounded "bullnose" edge on one or two sides of each unit. 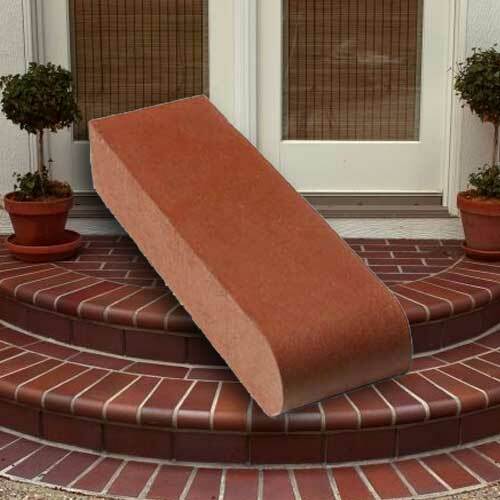 These single bullnose and double bullnose brick are most commonly used for finishing edges in brick masonry, pool coping for around swimming pools, stair treads, and even as wall capping units. Authentic Domestic Used Brick are brick units that have been salvaged during the demolition of older brick masonry buildings. These used brick have a unique natural patina and weathering that can only be achieved from years of existence. RCP Block & Brick's selection of authentic used brick varies depending on where the bricks were harvested. A variety of different colors and manufacturers may be available. Please call for current selection.